Re-modelling and full refurbishment of a listed building. To provide the necessary disabled access the lift shaft had to be extended below the basement level. The new lift shaft was clad in cedar wood boarding to provide a contrast to the brickwork structure. The nature of this project was the remodelling and full refurbishment of Willow Terrace. 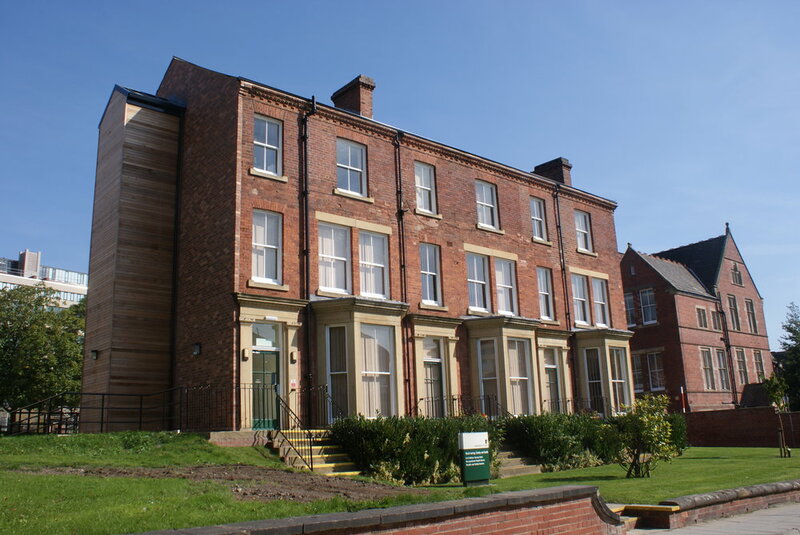 As this Victorian Terrace has Listed Building Status numerous challenges had to be overcome when upgrading the properties to meet DDA standards. The construction of a new external brick lift shaft to the gable wall and installation of a subsequent passenger lift was also a requirement. This involved deep excavations and to ensure that the shaft was structurally sound, underpinning and groundworks had to take place. Internally, new structural openings were formed, timber treatments were undertaken before new stud partitions, plasterboard ceilings, new kitchen and sanitary ware along with mechanical and electrical services were installed. The main hazards that related to these works were working in deep excavations and the proximity of existing services. These hazards along with numerous others were all successfully managed by our Project Team with forwarded planning and good management.